Apr. 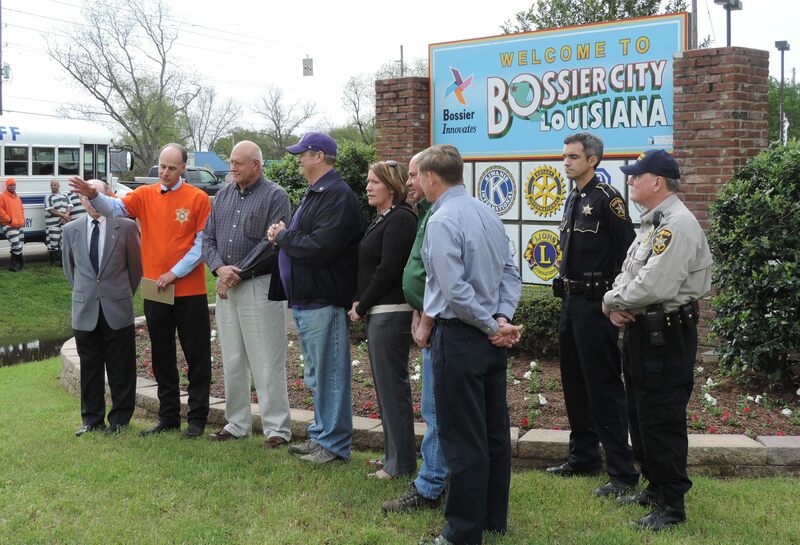 10, 2015 – 4:30 p.m.
Bossier Sheriff Julian Whittington and city, parish and state officials teamed up for a news conference Friday morning in front of the “Welcome to Bossier” sign on Highway 3 to show their unity to “Keep Bossier Beautiful.” The goal is to remove litter and clean up the roadways, especially as our area prepares to welcome some 200,000 visitors for the Defenders of Liberty Air Show at Barksdale Air Force Base May 2 -3. 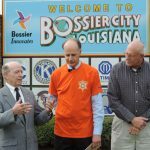 Joining Sheriff Whittington were Bossier City Mayor Lo Walker; Bill Altimus, Bossier Parish Police Jury administrator; La. 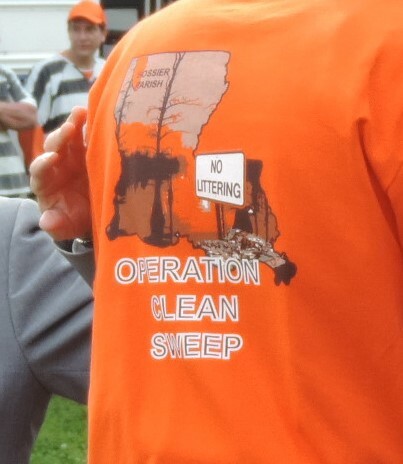 Sen. Barrow Peacock; La. 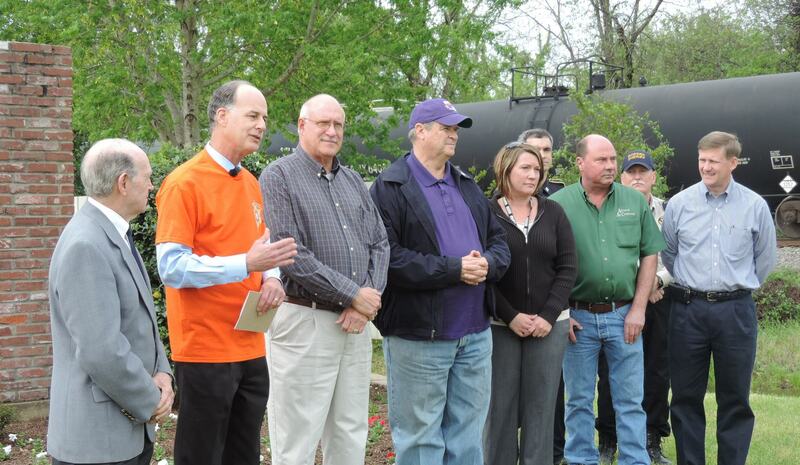 Rep. Henry Burns; Cindy Dorfner, La. 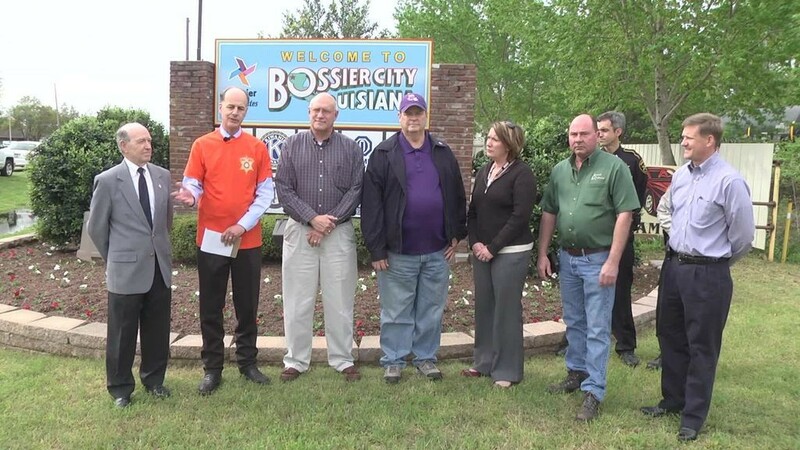 Department of Transportation and Development; Tom Lawson, Keep Bossier Beautiful; and Capt. 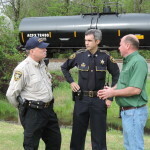 Doug Lauter and Sgt. 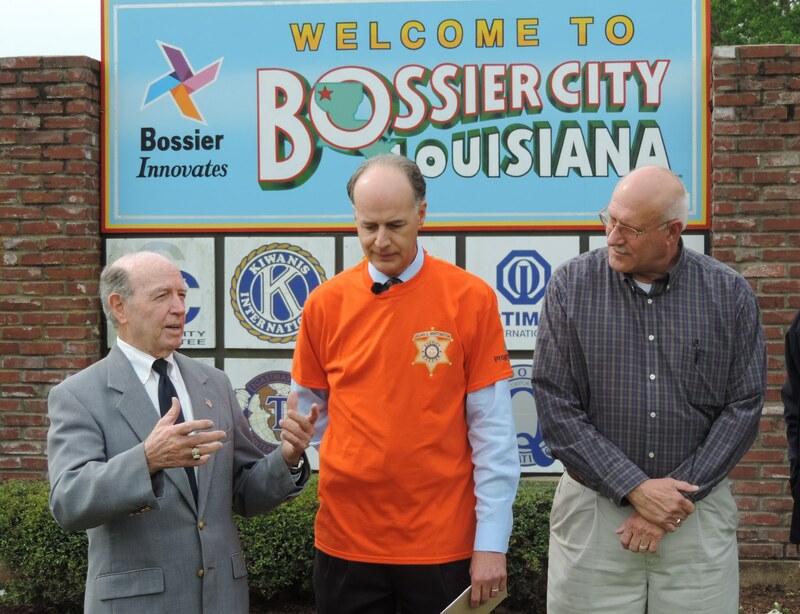 Joe Parrish of the Bossier Sheriff’s Office. 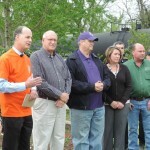 Mayor Walker talked about the connection of crime and city cleanliness. 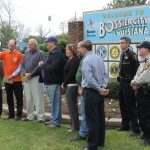 Rep. Burns noted the cooperation with area leadership – Sheriff Whittington, Caddo Parish Steve Prator, Mayor Walker and Shreveport City Mayor Ollie Tyler – and the consolidated effort to keep the cities and parishes clean. 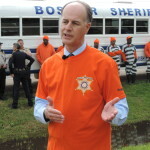 Sen. Peacock expressed his support from a legislative standpoint. 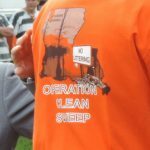 Lawson also thanked Sheriff Whittington for his support and dedication, while Altimus and Dorner pledged their continued backing. Each year, Sgt. 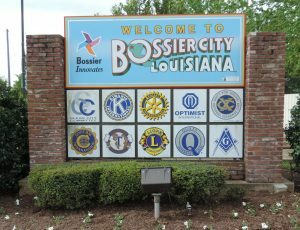 Parrish and Bossier Parish work crews pick up some 48,000 bags of trash over 2,000 miles of roadways to complement the parish and state beautification and cleanup efforts. 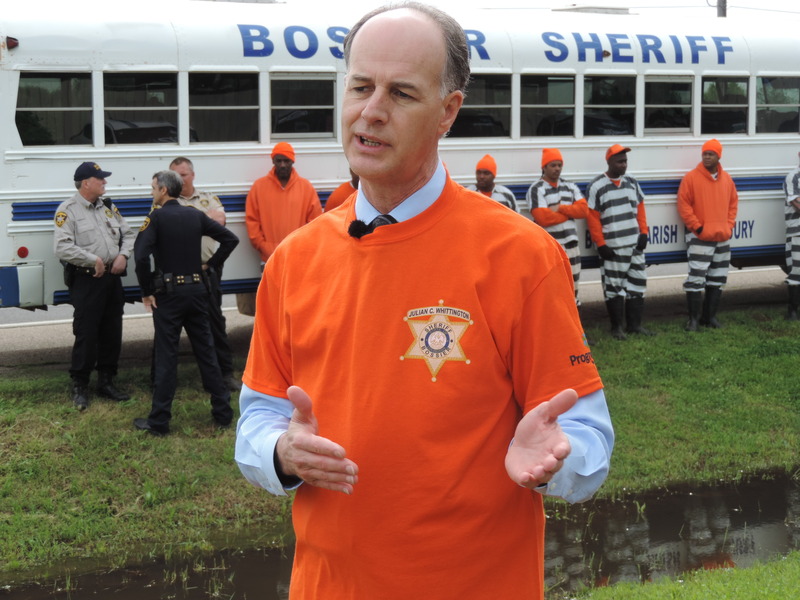 You can also pick up large trash bags at any of the Sheriff’s Office substations. You can then drop off your filled bags and litter in a dumpster provided by Progressive Waste Solutions that will be located at the Viking Drive Substation April 18 and 19 – please no large appliances, furniture or hazardous materials.